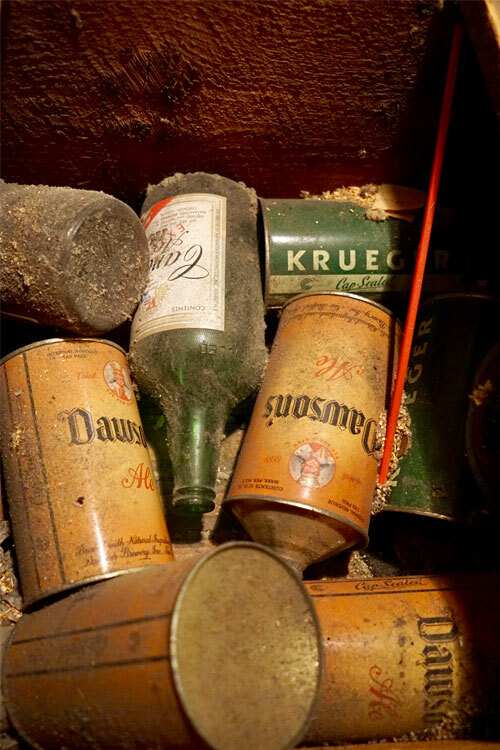 When Nick Johnson pulled up the floor in his bathroom to renovate, he discovered a stash that would change his life. Cone-top beer cans in mint condition. A collector's dream. Sitting in the space between the joists above the subfloor were dozens of cone-top beer cans, decades old and dusty, but otherwise in mint condition. At first, he wasn’t sure what to do with them. As a test, he cleaned one of them up and listed it on eBay. Within minutes, it sold. Then a user messaged him asking if he had more. When Nick revealed the full extent of his find, the user offered him $15,000 for the whole lot, sight unseen. This wasn’t beer money or new microphone money. This was life-changing money. 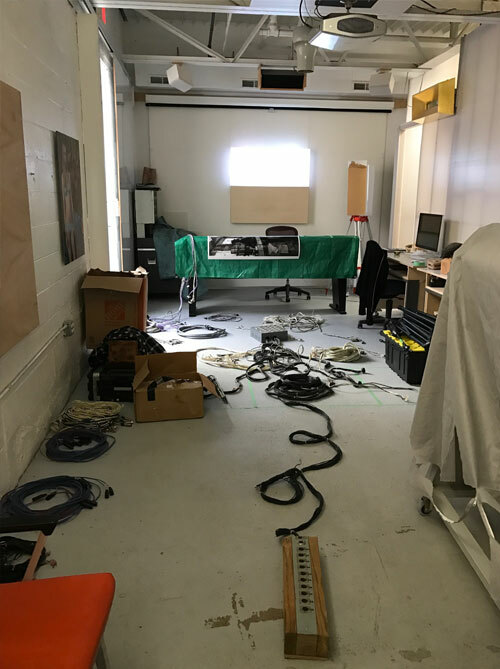 Rather than put it back into the restoration, he decided to use the unexpected cash to follow through on one of his dreams: to build an all-analog studio focused on serving musicians who might otherwise not be able to afford it. Now that dream is (mostly) realized: Prism Analog studio in Portland, Maine now offers access to top-tier analog recording gear with an in-house engineer at extremely low cost. There's a Kickstarter campaign to round out the rest of the studio's gear, but Nick is playing the long game here. He views this as a passion project, a service, not a high-risk make-it-or-break-it business venture (he still has a day job at Apple). I recently caught up with Nick to discuss the “fatigue of digital existence,” the role of non-profit studios, and the genius of Steven Albini. After you decided to use your unexpected $15,000 windfall to open Prism Analog, where exactly did that money go? It went towards the big, capital-intensive analog machines first. 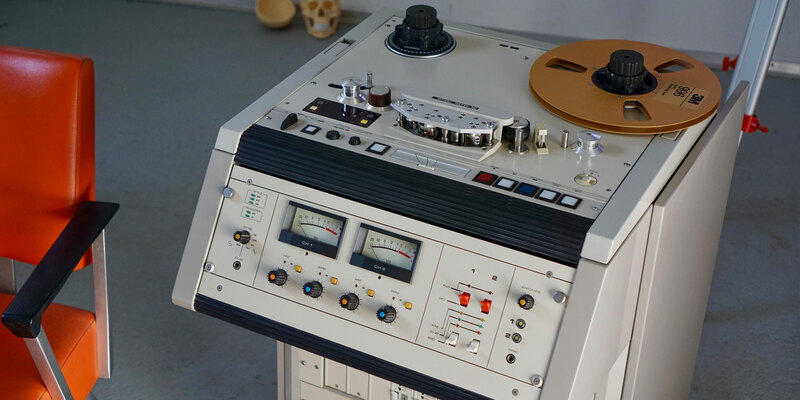 I have a beautiful 24-track 2" tape machine - a Studer A800 MKIII - that has been thoroughly restored. You could call it the Rolls Royce of tape machines. It dominated the high-end studios of the '80s and '90s. That's where the bulk of the money went. This is the exact tape machine that recorded Siamese Dream (1993) by The Smashing Pumpkins when it lived at Triclops Studio in Marietta, Gerogia. 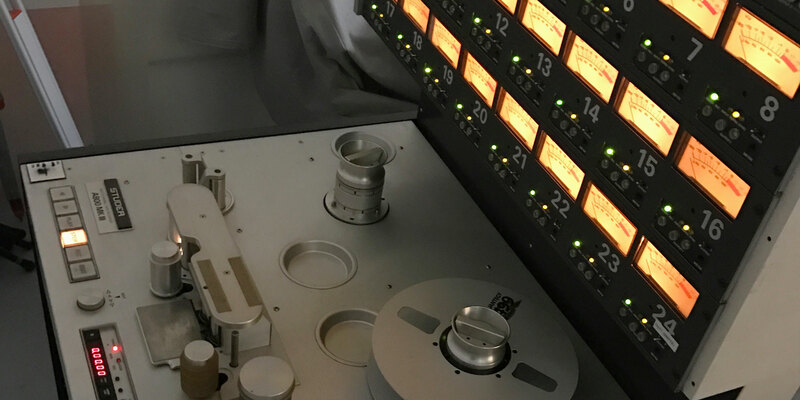 In addition to the Studer, I purchased an Otari MTR-12 mixdown tape machine, a SoundWorkshop 34C mixing desk (the same one you'll find over at The Record Co. in Boston, another non-profit studio), and a nice variety of high quality microphones. What was the inspiration to go completely analog when building the studio? The all-analog decision came from the fatigue of digital existence that I’ve had for the past 20 years. Since the ‘90s, everything in our society has become virtual, digital. Working for a tech company like Apple, that's magnified for someone like me. I hear you. Working at Reverb involves being in front of computer screens all day. We have to force ourselves to take breaks. Right. So my decision is a reaction to the convenience and over-stimulation that excess choices give us. There’s something to committing to a task and living in the moment. It's time in my life to get back to manual decision-making and the tactile world. I have two young daughters. They get lost in building cardboard houses. When I build with them, I may not be genuinely excited about it at first. But afterwards I look back and realize I used my hands. I made something. It feels good in a way that's hard to get from a computer. Going all analog involves pretty high start-up costs for a venture that's not going to make any money. Why did you decide to run the studio as a non-profit? The studio space coming together. There’s no shortage of studios out there. It’s not a vacuum. It’s tooth and nail. It seems like a competition at times. I don’t want to be embroiled in a fight to make enough money doing this as a full-time job. I’ve seen people who do that. I may eventually dedicate myself fully to the studio or add staff, but only as needed to serve the demand. Starting small as a side gig was the best way to enter into it. If all I have to do is keep the business going, I can keep rates for tape low, at a price where real people can afford it. You used to have to drive down to Boston or New York to get that if you lived in this area [near Portland, ME]. There are a few other nearby studios that could provide an all-analog recording experience if you wanted, but most are hybrid analog/digital studios that often come with higher rates. How many other non-profit recording studios are you aware of? There's Jack Straw Productions in Seattle, but they're all digital. There's also The Record Co. in Boston. There are probably others, but those are the big two I'm aware of. Given how expensive studios can be and how robust and affordable home recording software and equipment has become, what's the case for still going to a studio like yours if you don't have a lot of money? There’s a few reasons to still go to a studio, especially if you’re going to do it on tape. For example, if you’re the type of performer who just wants to focus on the music-making and have an engineer do the other things for you, a studio provides that experience. Even basic stuff - like the fact that most people can’t play drums in their house - can be a reason. You may want to record specifically on tape. It's a whole different process than using Pro Tools or GarageBand at home. You have to be well-rehearsed and not depend on digital post-production fixes. Some people want those limits because it spurs creativity. It encourages a more live approach. There is a sound you can get without paying a whole lot of money. That's great for demos or people who do more lo-fi stuff. People record acoustic music in their house - that can master pretty well. 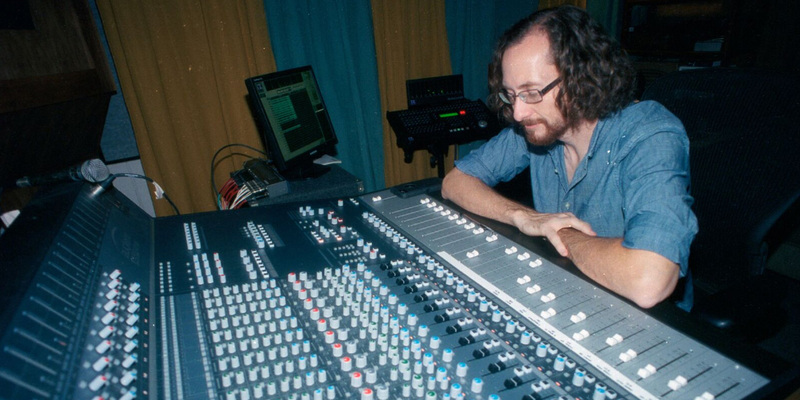 But there are situations where it's hard to get a complete, professional sound without a studio. Are you attracting artists that are simply looking for something less conventional and risk-averse? The nice thing is that I don't have to follow any trends or industry patterns. I don't have to make any money at all right now. I'm not feeding my family with this. I found a great studio space that was part of an art gallery. I have a friend who's running a woodshop where he builds frames in back, but the front he's letting me use for the studio. I'm not paying rent yet. So this is entirely a passion project, something I can take risks with. What is your background? Have you run a studio before? When I lived in Seattle, I recorded for myself and some friends. When I moved to New York, I had to sell off all my recording gear. I spent more and more of my time going to shows and less time recording. It was a home studio only thing for a long time. I went to school for journalism in Minnesota and got involved in the audio/visual department while I was there. I worked for a local AM radio station and got a lot of experience restoring hi-fi audio equipment during that time. The reason I decided to get back into recording is that it's the one thing I remember loving that people said I was really good at. That's an important combination. How did you go about finding the right gear? When I first made the decision to build the studio, I was spending around eight hours a day just looking for gear. 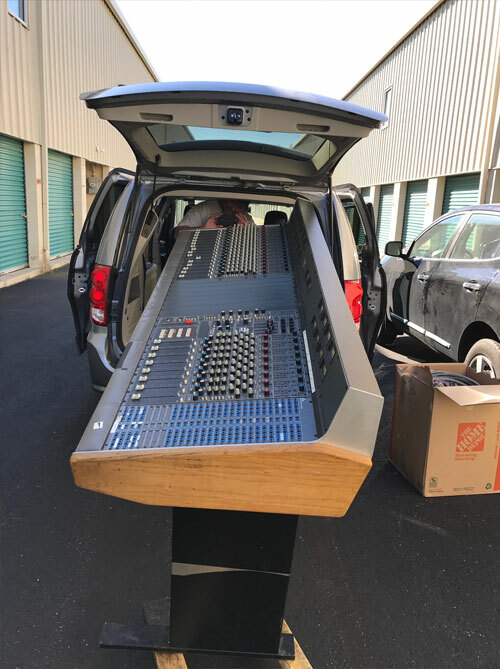 The mixing board being loaded for its journey. The Otari MTR12 was actually being sold up in Canada, but because I live so far north, I was able to meet the seller at the border to pick it up. The Studer [tape machine] I bought from Butch Walker out in LA. I actually drove a van out there, picked up this 900 lbs. machine, and drove it back to Maine. As far as the other gear, I picked up a MicMix Master Room XL-210 spring reverb unit and Valley Audio 401 compressors/EQs/pres. I'm starting with just one stereo reverb unit. The room itself is very live. I'm using the Otari as a tape delay in the meantime. Standalone tape delays are just so expensive. I also have a pair of JBL 4311 monitors that I’ve restored. 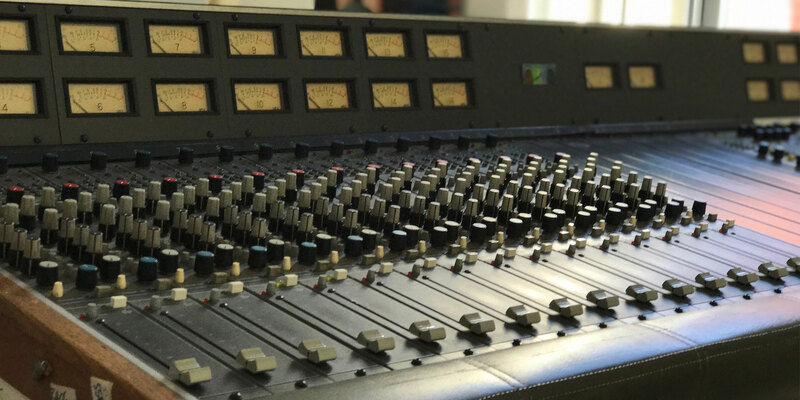 The board itself is a 32-channel frame, with 24 tracks running into the Studer. I bought a lot of mics, mostly on Reverb: a Rode K2 large diaphragm condenser, a Shure SM7B, and a Beyerdynamic M88-NC, which is an underdog dynamic mic. I tried to stay flexible, completely analog, and almost all used. A set of Beyerdynamic MC-930s are the only new things I bought. The only digital device in the whole room is a single Tascam DA-3000 rack-mount digital recorder, as a courtesy, to provide digital files for people to take home each day. How did you decide that all those pieces were the right ones for your studio? I read some interviews with Steve Albini that really became my north star. I studied the Electrical Audio website. He was a mentor, in terms of the way he does things. He tends to work with stuff that’s cost effective and flexible. I didn’t want any single-purpose mics. I wanted standbys, tried-and-true stuff. Things I could get my money back for. What work still remains? What are you working on now? I’ve had people contact me to offer their help, mostly with construction and soldering. It's a lot of middle-aged musicians who thought analog was dead and just want to be a part of it. The Kickstarter has six backers currently. All backers will be offered studio time. The campaign ends in early January, so we'll see what happens. I still need to fund sonic abatement and reflection treatments, a few spools of cabling and connectors, mic stands, and some remaining outboard gear. Then there's building out the studio control room, which is its own project. And, of course, a maintenance and repair fund for the inevitable love these analog machines will require. You can contribute to the Prism Analog Kickstarter campaign by clicking here. For years, Chris recorded other people in studios that weren't his. Now that he finally has his own, it's time to reflect on the journey.